Before Charlotte was born, the last "big hurrah" that Camille and I did together was her weekly Music Together class. I can't say it enough ... I LOVE LOVE LOVE music class with little ones. I personally think that besides being a thousand percent fun for the parent and child, it truly is amazing for their little growing and thriving brains. I wrote more about this and linked to some really interesting scientific articles in this blog post from December. The holiday music class was so much fun that we signed up for the winter session Music Together class at the start of the year. It was still pretty chilly outside, so we loved having an activity that was out of the house but indoors! Camille could kick off her shoes and run around the studio, playing with friends and singing/hopping/jumping/skipping to her heart's delight. 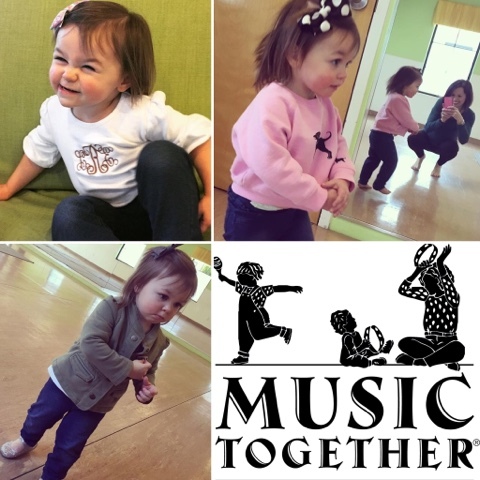 Our Music Together class was held at Steps n Motion dance studio in Blakeney. Our wonderful and attentive teacher was Miss Melissa. Our session was a morning class that ended around lunchtime, so I always packed Camille's lunch for her to eat in the car on our way back home (it was about a 30 minute drive for us in our old house). She loved music class and also loved knowing that a special "carseat lunch" awaited her afterwards. The thing that I've learned about signing up for classes like this is that it is not the easy route. As a stay-at-home mom, it's much simpler for me to lessen our commitments, both time commitments and financial commitments. Signing her up for classes takes organization, planning, and funds. But you know what? I have never, ever regretted putting her in organized weekly classes like this. It pays in DIVIDENDS. 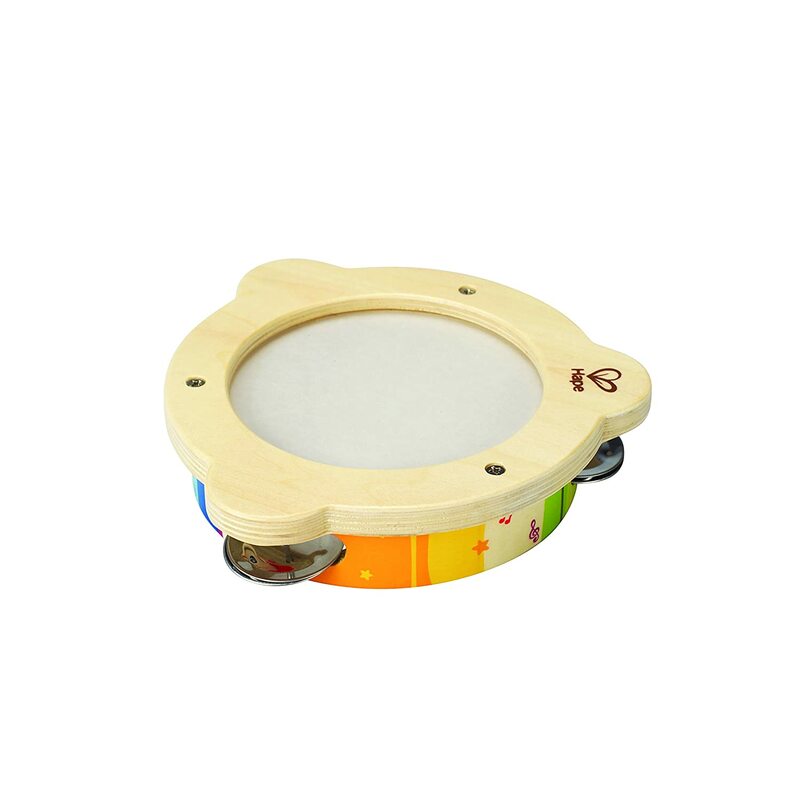 When you hear your daughter or son singing a song she learned in class, when you hear her say the word "tambourine," when you slip a wooden spoon and pot to her in your kitchen and watch her bang on it happily like she learned in class, it is all worth it! Having a weekly class also added much-appreciated structure to our day. It gave us a purpose to get up, get dressed, get out of the house! If you live in an area that does not have Music Together or music classes, there are ways you could plan a little class of your own. A nice YouTube channel I found with sweet kids songs is HERE. You could easily fill a little plastic container with some music instruments and whip it out after nap one or two days a week for your own little music class. For instruments in your music box, throw in some old spoons, some wooden blocks to knock together, maybe a chiffon scarf to wave in the air to the beat. 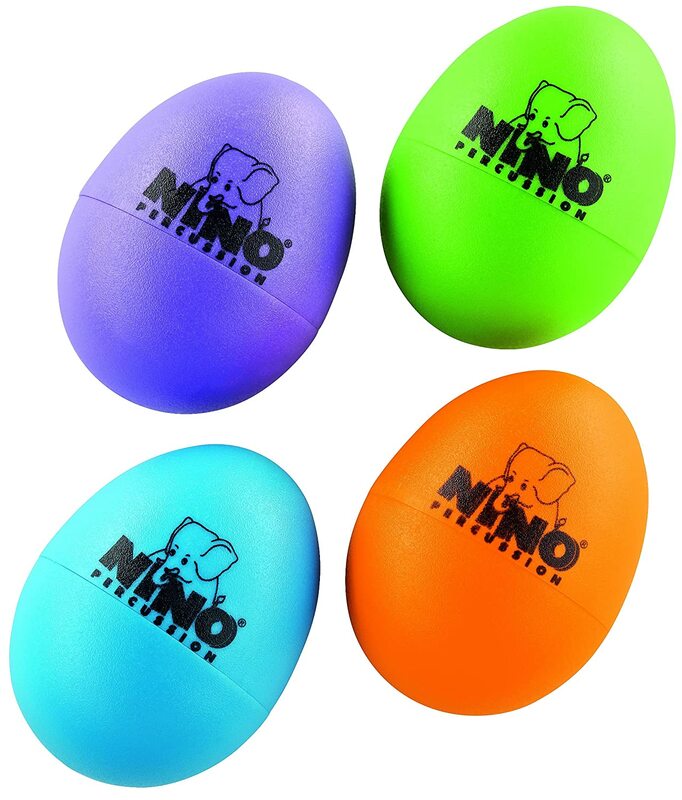 We also are big fans of the little plastic egg shakers (cheap and great for ALL ages - Charlotte loves them now - linked below), and we gave Camille the Melissa and Doug music kit for her 2nd birthday that I also linked below. So, have some fun today with cheery music! And if you're local to Charlotte and interested in attending the same Music Together classes that Camille and I attended, mark your calendars for the registration dates below! These classes DO fill up quickly, so you will want to snag your spot as soon as registration opens. Check the website for more details! They also have a very informative Facebook page HERE. 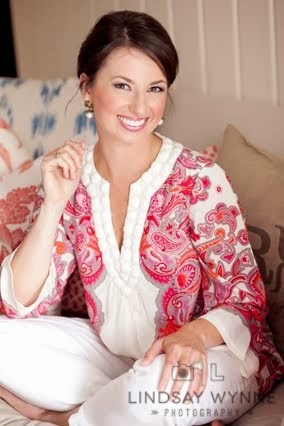 Please don't forget to visit my post here about healthy cooking and eating as a family and let me know what you love to cook with your loved ones! I'd honestly love to read your comments to get ideas! We love Music Together! Thank you for introducing it to us! Do you mind if I ask the price for classes in Charlotte? In NYC we pay almost $40 a class once you factor in registration fee...it is a great class but I'm not sure it is worth the hefty price tag! 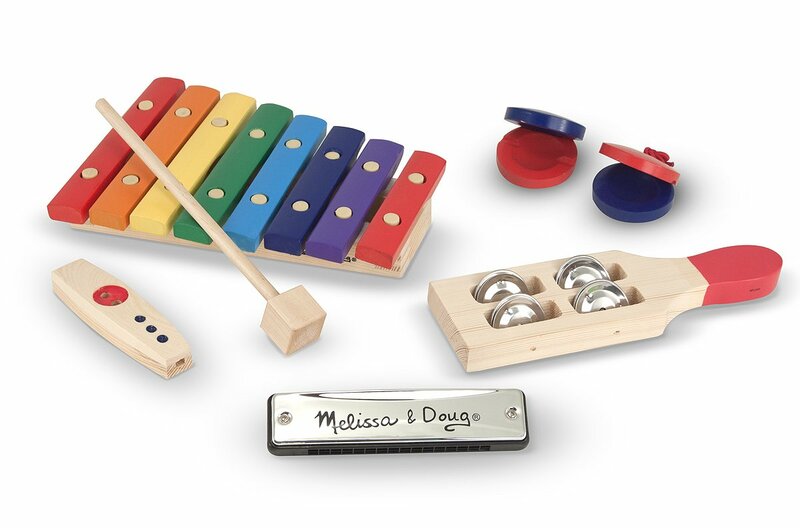 I love our Melissa and Doug band in a box set and I've given it as a gift to several close friends and family's kids. We have so much fun with it- I love that it can be a family thing, and L constantly talks about "moosic" and says she's "rocking out" or playing a concert for us. haha I bought Anthony an inexpensive harmonica as a stocking stuffer years ago and that's one of her very favorite toys. I love the idea of music class & what it can offer! I signed up for one last Fall - it was each Friday & it never failed that Jack would crash on our way to class or want a bottle about half way through. I eventually quite going bc it was just too much. We skipped music class in the Spring bc he was enrolled in mdo but, they did music each week there as well. I did love what they offer & the potential to learn so much though! Def recommend if you can get your child in a class! Our area even has wknd classes! i would love to check this out!! thank you so much for all of this. those instruments are also amazing. Charlotte is Four Months ... No, FIVE Months! Summer Vacay: Oak Island Beach! Five On Friday: Hi From The Beach!